Junior Fireman- Age Between 18 to 27 Years. Assistant Technician/Assistant Grade III- Passed 3 Year Engineering Diploma in Concerned Discipline from any Recognized Institute. Junior Assistant Technician- Passed Matric Exam with Science Stream and ITI Certificate in Relevant Trade. Junior Assistant Accounts- Passed B.Com and 6 Month Diploma in Computer Application and 30 wpm Typing Speed. Pharmacist- Passed 3 Year Diploma in Pharmacy and Registered with Pharmacy Council. Junior Fire Supervisor- Passed Intermediate Exam with 6 month Work Experience in Fire Services and a Valid HMV Licence. Junior Motor Vehicle Driver- Passed Matric Exam and a Valid HMV Licence and 3 Year Driving Experience. Junior Fireman- Passed Matric Exam and 3 Month Firemans Training and Valid HMV Licence. Eligible Candidates can Submit Online Application at the Official Website of ONGC Latest by 19th February 2019. Applicants First Open ONGC Official Website. Open Career Link at Home Page. Click on Recruitment Notification of Class III, IV Post for ONGC Agartala. 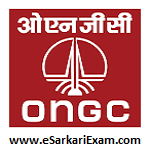 Open Online Application for Recruitment of Class III & IV Post for ONGC Agartala Link.